Alternate working title “I just wanna eat streusel and make stuff, mmmk?” I mean for real, if I could have streusel for every meal, life would be just about perfect. And coffee I want that too. 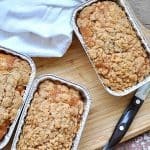 So when I was making my FAVORITE One Bowl Chocolate Chip Banana Bread the other day I was drinking coffee and thought “good grief all I NEED is streusel and this day is a perfect ten.” So I pulled out my no-fail streusel recipe and got busy. 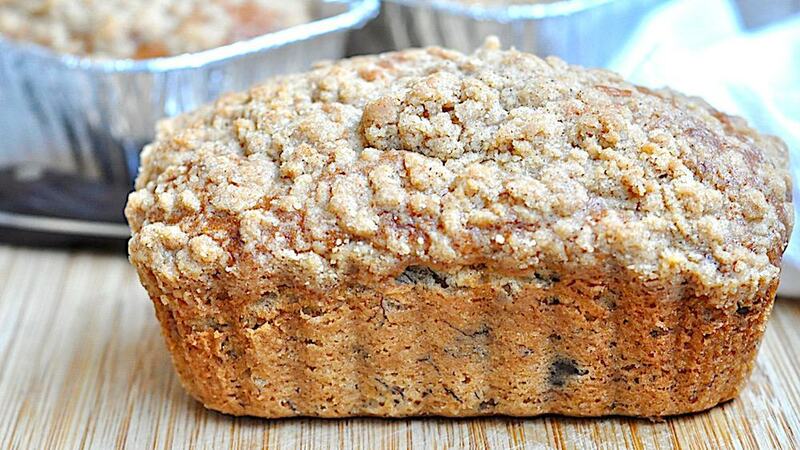 Behold the recipe for Chocolate Chip Banana Bread with Streusel was born. And if you happen to like muffins better, this recipe is perfect for that too! This quick bread recipe is a keeper, for me anyway, who always has frozen ‘ripe’ bananas in her freezer, you feel me on that one? I just wanna eat streusel and make stuff mmmk? Streusel. I can’t even with streusel. When I make it I love it. When I don’t make it I wish I had made it. 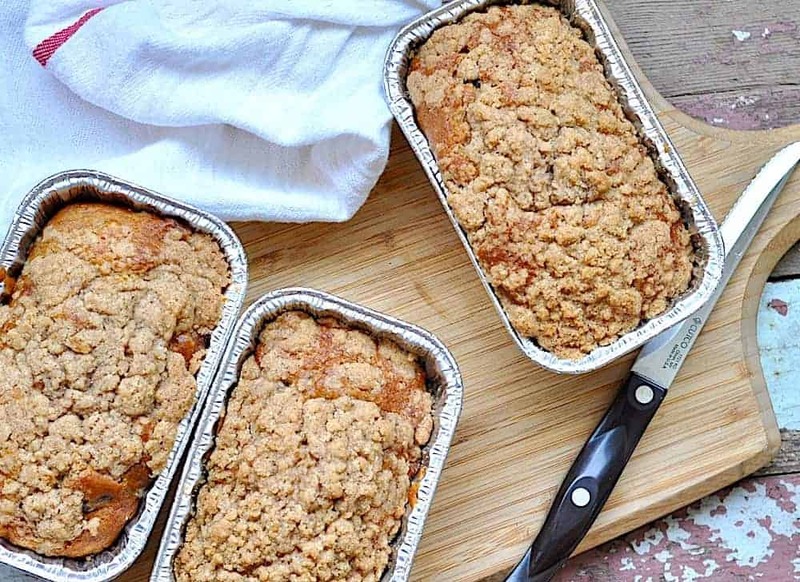 I think I might make a giant batch of freezer streusel to put on top of all baked goods. But then I’d probably keep making coffee cakes and quick breads to put it on, and I can imagine that would be a vicious cycle. Can You Make Chocolate Chip Banana Bread Muffins Instead? Yes! in my experience, most if not ALL quick breads can be made into muffins instead. A quick bread is a bread that doesn’t have yeast in it. Instead, it relies on the power of ingredients to give it volume, usually soda and an acid, in different combinations. You can assume that each regular size loaf of quick bread will make about 10-12 muffins. If you’ve got them toss them in the freezer. It will keep you from getting fruit flies (UGH! ), and you’ll be ready to make this EASY one bowl banana bread which kinda relies on ripe bananas that you’ve frozen. If your bananas are NOT frozen just use a potato masher to crush them up before adding them to the recipe. GIVE ME ALL THE STREUSEL! This chocolate banana bread brings it with the addition of a streusel topping. This looks so good. And is that a Cutco Trimmer? It’s one of my FAVORITE knives. Oh my YUM…..I would love a slice please. Streusel is the best, right?!?! This sounds like the ultimate banana bread 🙂 Pinned! 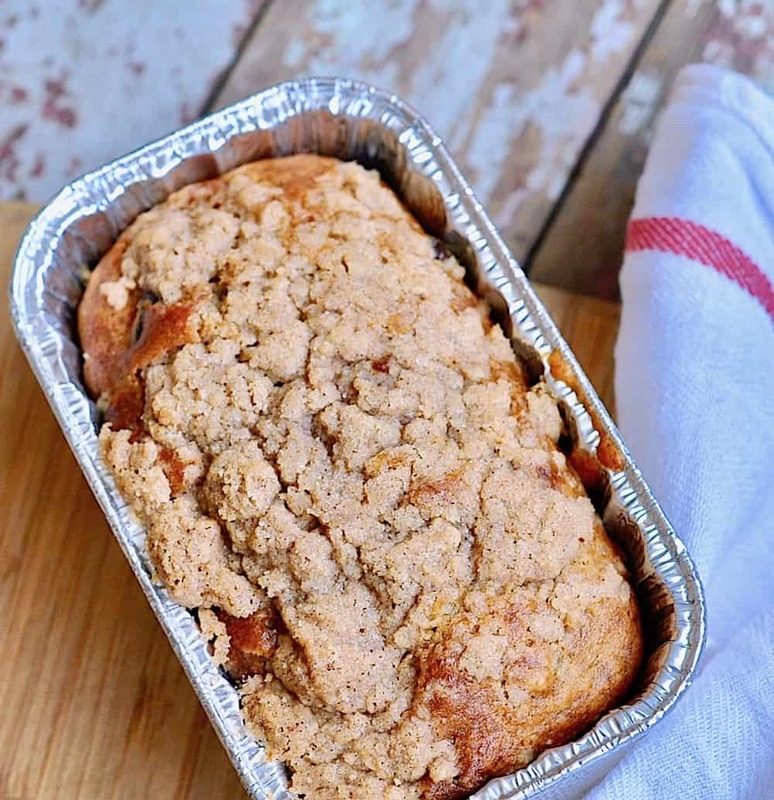 Banana bread is always a hit and the addition of streusel is genius! I totally agree on the streusel topping! Love this addition!